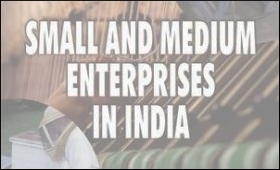 The government Thursday launched a scheme - 'Niryat Bandhu' - for international business mentoring of young start-up Small and Medium Enterprise (SME) exporters. "We are devising a new Niryat Bandhu scheme for mentoring the first generation entrepreneurs to provide hand holding support and facilitating these new exporters," said Commerce and Industry Minister Anand Sharma in his address while releasing the Foreign Trade Policy (2009-2014) in the national capital. The officer (Niryat Bandhu) would function in the 'mentoring' arena and would be a 'hand holding' experiment for the young turks in international business enterprises. Under the scheme, officers of the Director General of Foreign Trade (DGFT) will help mentor the interested individuals who want to conduct the business. Over time, the scheme is expected to develop a class of businessmen who carry out the international business in an ethical manner, minister told SME Times. I want information about seminars which will be held under niryat bandhu scheme. I am interested in export business. Hi, Where can i find this so called officer (Niryat Bandhu) for my assistance. I WANT TO START CARPETS EXPORT BUSSINESS. HOW YOU CAN HELP ME WITH DGFT. Hello .. I WOULD LIKE TO KNOW MORE ABOUT THESE PROGRAM and also like to know how one can get information about to start new enterprise with this help of dgft. Pl give full details of functioning. What is meaning "Start UP SME's" Is it not useful to existing SME of 1st generation ? I am running Higher Education institute that comes under MSME code 2004-80904, and render technical consultancy service coming under code 2000- 97789, need to be registered as MSME please do advice and send me necessary application form. What are the detailed functions of Niy.Bandhu.What is the specific field it helps?Marketing?Finance? needed full details. i want the programme details to understand this scheme please give me full details. IF NOTIFICATION AVAILABLE ARE MORE EASIER TO UNDERSTAND THIS SCHEME. I want to start New business. Pl give me total list of Business including new 130 Busisnes.